Richard Trollope law offices is situated in the state of Florida, US. The law firm is headed by renowned lawyer and attorney Richard C Trollope who established the firm in 1980. Trollope. Richard Trollope has been serving clients for 30 years and has gained a reputed position in the law industry. Their legal services and legal guidance is considered as one of the best in all states. Richard Trollope law offices have been catering to legal needs of clients in all areas such as family law and divorce, personal injury, property division and alimony, and probate. They have achieved a number of awards for their outstanding quality service and commitment. Attorneys working for Richard Trollope are ranked as the most qualified professional lawyers across the nation. They are highly committed to their job and have polished their legal skills with years of practice. Each client seeking legal help from this law firm is treated with full consideration and commitment. Client profiles range from corporate companies to individuals at national level and also across seas. This indicates that the firm is becoming a strong competitor in the international law industry. No matter how complex a case turns out to be, the team of qualified attorneys at Richard Trollope practice firm is always prepared. Every case is dealt with devotion and personal focus, ensuring to take all measures necessary to satisfy clients and bring about desired results from the case. Other key factors of success at this firm include responsiveness, attentiveness and transparency. Richard Trollope law firms regularly takes part in many pro bono projects and offer free legal services to clients in Florida and the Mexican gulf. The law firm has generously funded many projects and is a member of famous non profit organizations. Through charitable work and pro bono projects, the firm gives back to its society as a responsible corporation. Richard Trollope believes in efficiency, reasonability, affordability, and integrity. Q:What can you tell me about the principal attorney at Richard law firm?  A:The Richard law firm is headed by Richard C .Trollope who has extensive experience in marital and family law. Although his main areas of practice are divorce, Richard C .Trollope also provides legal services in estate law, personal injury and wills. He devotes almost half of his law practice to litigation and has bar admissions in Florida, U.S. Court of Appeals 11th Circuit, U.S. District Court Northern District in Florida and U.S. Supreme Court. Richard C. Trollope graduated from the Florida State University and has been practicing law for more than 25 years in the state of Florida. .
Q:What areas does the law office of Richard Trollope practice in? A:The law office of Richard Trollope caters its clients in a number of areas. Some of the areas of law covered are Family & Divorce law, Personal Injury, Estate Administration and Probate. Within Family law, the firm specializes in Child Support, Paternity, Property Division, Alimony, Child Custody and Visitation rights. Richard C. Trollope is the principal lawyer at the firm and has extensive experience in the above mentioned areas of law. Almost of half of the firm's practice is dedicated to litigation with an impressive success rate. Q:In what areas of probate administration can the law office of Richard help me? A:The law office of Richard provides comprehensive services in probate administration matters. Some of the areas the firm extensively covers are admittance of will, appointing personal representatives, collection and re titling of assets, filing tax returns, distribution of inheritance, locating creditors, filing valid claims, resolving litigation matters, complying with notification requirements, creating trusts and closing the estate.